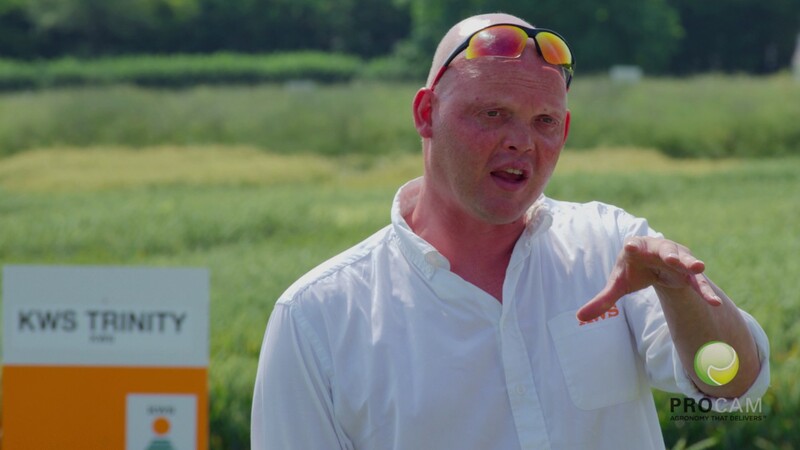 Harry James has joined national agronomy and crop production business ProCam, expanding the ProChem team of agronomists based at Leominster in Herefordshire. Previously working in farm management, as assistant manager on a 5,500 acre arable unit in Lincolnshire and earlier being involved with a 3,000 acre operation in Kent, Harry brings hands-on experience of a range of soil types and cropping systems to his new role. He will cover an area including Herefordshire and Shropshire, into Wales and up to the edge of the Cotswolds, working alongside senior agronomist John Rossiter and other colleagues based at ProChem Leominster. “The role of an agronomist is changing, to become more holistic, and I believe that my background in farming and farm management will be a real advantage, delivering a more rounded approach,” comments Harry. “It’s a challenging time for farmers, but also an exciting time as innovations such as the development of precision farming and a better understanding of soil health, for example, bring opportunities for greater efficiencies. Harry James is originally from a family farm near Hay-on-Wye in Herefordshire.